Rolling steel doors provide security when locked up and easy access to your building when they are open so everything can run smoothly. When you have a problem with your rolling steel doors business can quickly come to a screeching halt. Maybe you’re in the process of building a new facility and you are trying to research rolling steel door systems and who provides them in Vancouver? DoorTech Industries is a full service commercial door service and repair company in Vancouver BC. For more than 35 years we’ve specialized in rolling steel door systems for Vancouver area businesses. From custom built rolling steel doors to fit your opening, to rolling steel door repairs, maintenance and even custom fabricated parts to keep your uncommon or hard-to-find parts for rolling steel door system operational. We repair all makes and models of rolling steel or metal door systems throughout Vancouver, BC. Our fleet of fully equipped trucks are manned by experienced door technicians with many years of experience in the industry. We are insured and appropriately licensed for our trade. If you need your rolling steel doors repaired in the Lower Mainland DoorTech Industries can take care of your needs 24 hours a day. 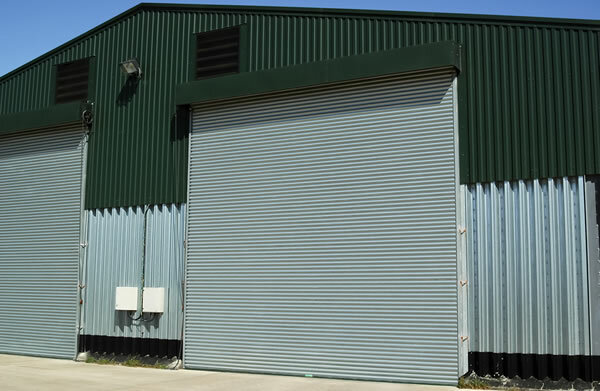 If you have many rolling steel doors on your building or facility then it’s probably a good idea to consider a regular maintenance program to prevent downtime. We can recommend and set a schedule for your business so one of our skilled technicians will visit your business on a pre-set schedule and inspect and provide maintenance to your rolling steel door system. Our door technicians can help prevent downtime because they’ll be able to spot any issues with your door and repair them before you have a more expensive problem to fix. We work directly with a handful of select rolling steel door manufacturers so we can deliver rolling door solutions custom tailored to our customers building. Maybe you’d like a rolling steel door with windows? Maybe you want the opposite and you’d like to have additional security features. There are many options available and for the sake of your businesses security, we won’t talk about them here. You can phone us or fill out one of our contact forms and we’ll promptly get back to you. We’ll be able to answer all of your questions about rolling steel doors and come up with a system that will work for your building.